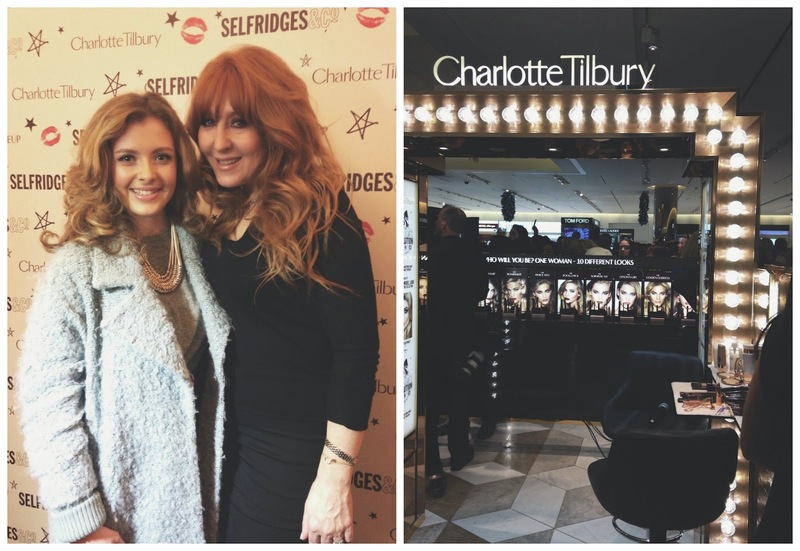 On Tuesday, the one and only Charlotte Tilbury was doing a live demonstration of her new look The Supermodel on model Abbey Clancy at the Selfridges in Manchester. Obviously, I knew I had to go, as Charlotte is one of my major makeup idols and her line is just absolutely beautiful. It was super crowded there, but somehow I managed to get a good spot to watch the demonstration, although I didn't get any pictures that were good enough to really show you the look so you can see it here, but I can confirm that it is absolutely beautiful and certainly perfect for a New Years Eve party! After queuing for a little while (it actually wasn't for as long as I was expecting! ), I got to meet the lady herself. She was so lovely and took some time to chat to you and tell you which looks of hers would suit you most. She recommended the Golden Goddess to me, along with the Dolce Vita and The Supermodel. The Golden Goddess look is absolutely beautiful and I couldn't agree with her more *puts entire look onto wish list*. I had an amazing time, and just wanted to share this as my little lifestyle post of the week. Which Charlotte Tilbury look is your fave?